I have made a decision to at least do something on the airplane every night, even if its just a few minutes. This way I am always moving forward on the build, every day even if its just a small step. 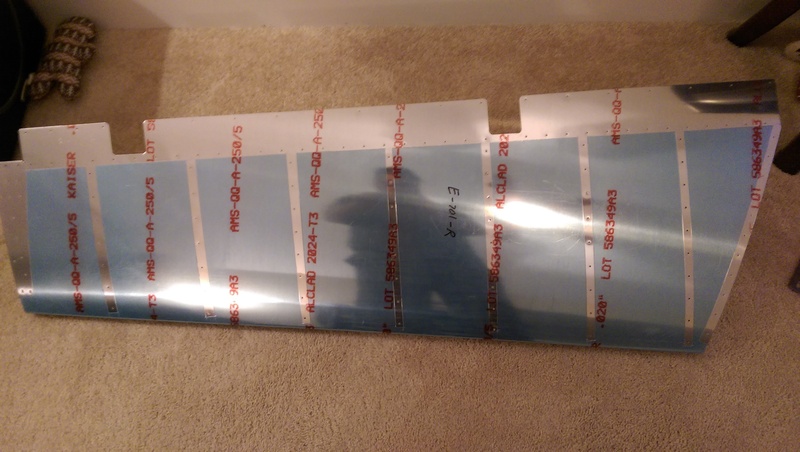 I wasn’t feeling 100% tonight, so I decided to deburr the elevator stiffeners. Since it was very cold down in the basement tonight (its about 12 degrees F outside), I brought the stiffeners upstairs and deburred them over a little trash can to keep the shavings contained. There was a bunch of these things, but I got them all done. 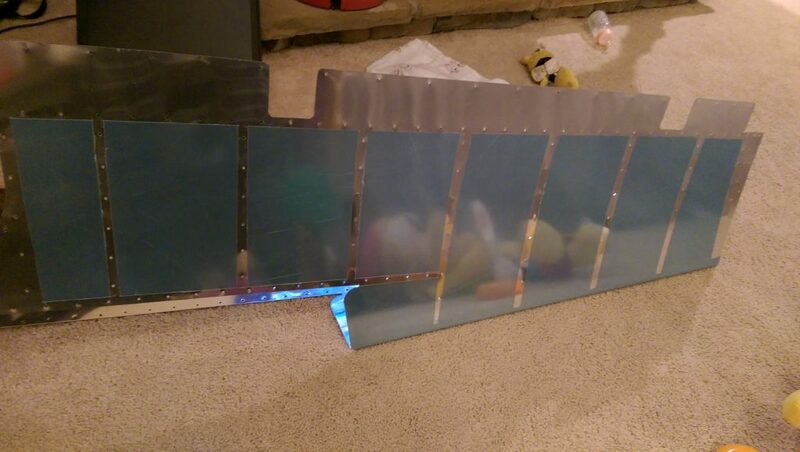 I then decided to remove the plastic on the exterior elevator skins around the rivet lines. I brought them upstairs and used my soldering iron and a ruler to remove the plastic and then called it a night. Only just a few photos tonight, but hey, its progress!